In this story, we sat down with Danny Baskara (@dannybaskara), the founder and CEO of Vexanium. Vexanium is an innovative decentralized marketing ecosystem. By using the Vexanium platform, companies can create points in loyalty program applications in the form of digital tokens. The tokens can also be converted into coupons or points that can be used in corporate applications. Baskara previously built and sold a well-known voucher and couponing platform EVoucher in Indoesia, which was with more than 2 million active users. 7 years later, he realized that the blockchain can solve the fundamental problems of this industry. 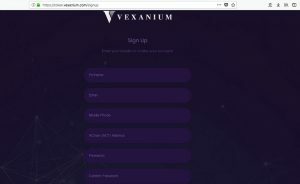 The idea for the VEXANIUM ecosystem was born. In this interview, he shares some insights with us on marketing and blockchain. Q: If we try to make the long answer to short, what might be really changed by technology? A: This is very exciting time for all of us in human history, because of the technology. You see all of us are holding our smartphone right now, we can use that to do so many things. I see opportunities. I have been through three eras of the Internet revolutions, and now since 2017, it’s the blockchain. Q: When you look forward to what the industry actually looks like in 10 years, will it actually look fundamentally different due to blockchain? A: What’s interests me and makes me feel really excited is the technology behind the whole picture. And for me personally, it is about bitcoin and other cryptocurrencies. Bitcoin enables marketing and trust. Combine these two — and this is what we do: A decentralized marketplace for marketing ecosystem. 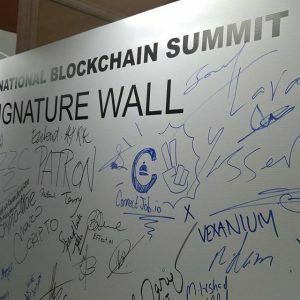 Q: What can you benefit with the booming trend of blockchain and bitcoin? A: After ICO my plan is helping other ICO projects or blockchain companies to do ads campaign or airdrop like CPA, CPC, CPI, CPL and etc, and making good PR with media and having partnership with offline or big online retailer for VEX. Q: What would make VEX competitive compared to other blockchain-based marketing companies? A: People and product. 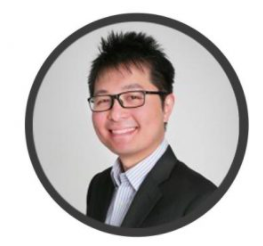 The Co-founder Robin Jang is an IT and operations expert with over 10 years of experience in Asia. Also, we’ve brought a few industry leaders onboard as advisors, like Jason Lamuda, the Co-founder of Groupon Indonesia, and Patrick Linden, Managing partner at RVP Venture Group. Q: Besides talents, you mentioned product. So what does VEX bring to the existing businesses? A: The marketing scene will experience a low number of malicious ads. There are no risks of breach of consumer privacy or advertisers trust. And the best part is there are no commission fees. The distributed structure allows for the elimination of media middlemen and lets the advertising process become transparent. Q: What kind of usage scenario could you imagine? A: For example, a student Mike, one day he receives a VEX from Apple in his VEXANIUM app, when he is near the Apple Store in Central, Hong Kong. Through his VEXANIUM app he knows that Apple is offering a promotion to him — by using the VEX token, he will be able to enjoy 5% off a Macbook purchase. VEXANIUM VEX token sale starts on May16th, 2018. We extend our warmest welcome to three new advisors for joining our advisory board at Vexanium. Edy is a serial tech entrepreneur who has founded and exited several startups such as LOKÉT (acquired by GO-JEK, 2017) eEvent (acquired by EnvisionPoint, 2013), OW.com (acquired by Telepathy, 2009), Kamus.net (acquired by Stand4, 2008). 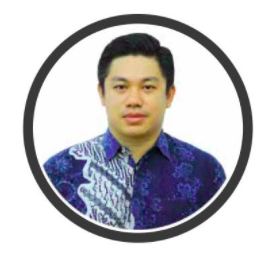 He is currently heading the 28 entertainment verticals within GO-JEK group and advisor for few prominent ICO projects in the region. Jason is the Founder & CEO of Berrybenka, Co-Founder of Groupon Indonesia. 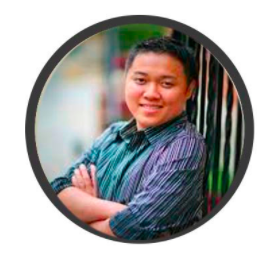 Jason is a well known Serial Techpreneur in e-commerce in Indonesia. He founded Berrybenka, one of the first and largest fashion e-commerce companies in Indonesia. Jason was also the founder of Orami (The Southeast Asian women-focused e-commerce company selling moms & babies products and other household related products) and Disdus.com, which was acquired by Groupon to become Groupon Indonesia. Joseph is the Founder and CEO of Ralali, the largest B2B marketplace portal in Indonesia. He has over 12 years working experience in B2B and supply chain industry with many different roles from sales, marketing, operational, procurement, and strategic management. He is passionate in leadership management, blockchain, and renewable energy. Currently, he is leading a team of more than 160 people in Ralali.com to be the #1 B2B online marketplace platform in Asia. 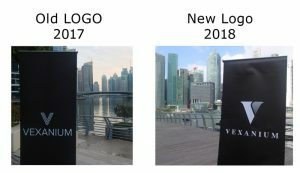 SINGAPORE, April 11, 2018 — An innovative decentralized marketing ecosystem called VEXANIUM, which helps to cut costs and improve efficiency and transparency for commercial businesses, is being launched by Danny Baskara and team. The blockchain based ecosystem which VEXANIUM creates will solve the major pain points that this industry faces today. The VEXANIUM platform will also naturally serve existing blockchain businesses in their user acquisition, activation and retention. This makes it attractive for both businessmen, crypto-enthusiasts and ordinary users. In Asia, a majority of retailers use online promo marketing platforms such as Groupon, Dianping or Meituan to win new customers. Promo marketing strategies rely heavily on campaigns on these platforms which provide substantial traffic and sales. 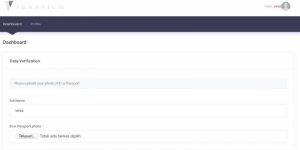 These platforms charge an average of 15% — 20% in commission per transaction through a CPA (Cost Per Acquisition) or CPS (Cost Per Sale) structure. An increasing number of retailers struggle because these commissions together with the discounts offered represent too high a proportion of their margins. To protect margins, retailers often end up giving lackluster promotions that are either unattractive or with unrealistic terms. Meanwhile, customers are often frustrated when trying to utilize a voucher or redeem their gift cards and coupons. Common difficulties include using vouchers that have already been utilized, expired, are lost or with unreasonable T&C requirements. A study conducted by GfK concluded that 49% of consumers would gladly switch brands for savings in the form of a coupon. In the retail market, South-East Asia and Indonesia, in particular, are some of the fastest growing markets globally, with the latter boasting a population of over 260 million people. The importance of vouchers and coupons for retailers to attract new customers in those regions is significant. VEX token will be listed on Tokenomy upon launching of the platform. Partnering with fIndodax.com (former bitcoin.co.id), the biggest digital asset exchange in Southeast Asia, Tokenomy helps VEX access to 1,000,000+ potential investors and traders. 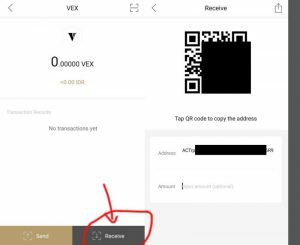 The VEX app features an integration with selected crypto exchanges in order to allow users to directly trade their VEX token balance on the exchange. Also, the VEX Exchange will allow consumers to trade vouchers among themselves and set their own prices. 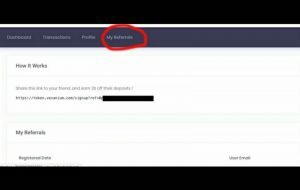 Customers will be able to store and redeem their voucher tokens via VEXANIUM app. One game-changing use case of the VEX Platform is the lucrative “airdrop” market, which will allow blockchain companies to create airdrop campaigns for acquiring new customers and rewarding existing ones, using the VEX token. 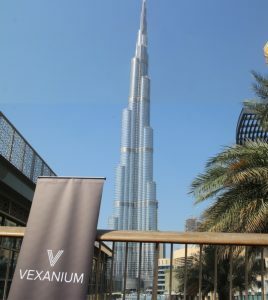 “For companies that want to take advantage of the VEXANIUM platform and want to create digital tokens on their applications are required to purchase a large number of VEXANIUM digital tokens, VEX, because each transaction is using the token, included in transaction fees,” Danny states. This will be facilitated via the VEX web and mobile apps. In an exciting move, the VEXANIUM marketplace plans to be fully functional and open to merchants and individual users in Indonesia by Q4 2018. VEXANIUM will complete the establishment of the ecosystem by launching VEXchange and VEXplorer by Q2 2019. 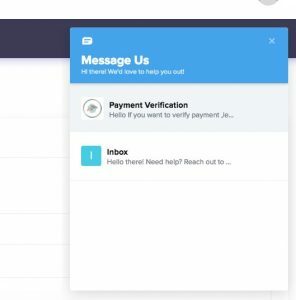 Merchants and enterprise users can create voucher tokens and start their marketing campaigns all seamlessly via the one-stop mobile app. VEXANIUM founder and CEO Danny Baskara previously built and sold Indonesia’s largest voucher and couponing platform Evoucher, which was with more than 2 million active users. After 7 years of building Evoucher, the founders realized that the blockchain can solve the fundamental problems of this industry. 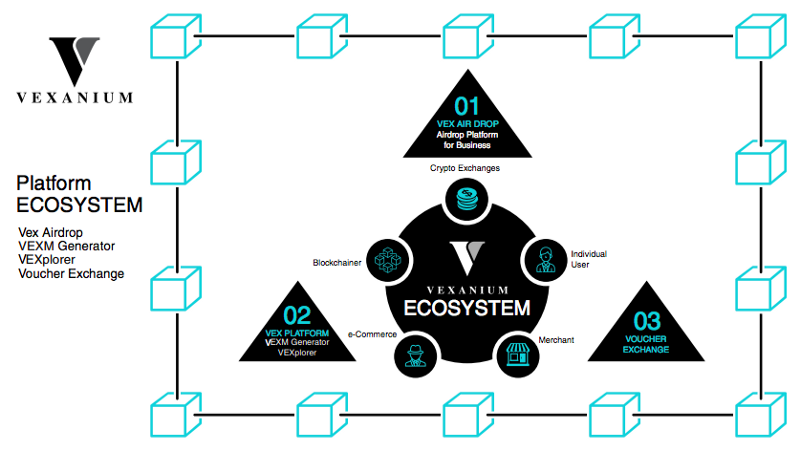 The idea for the VEXANIUM ecosystem was born. 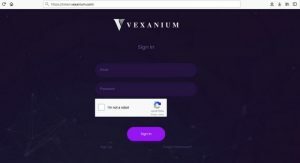 VEXANIUM will revolutionize this space by bringing the voucher and couponing industry on-chain. 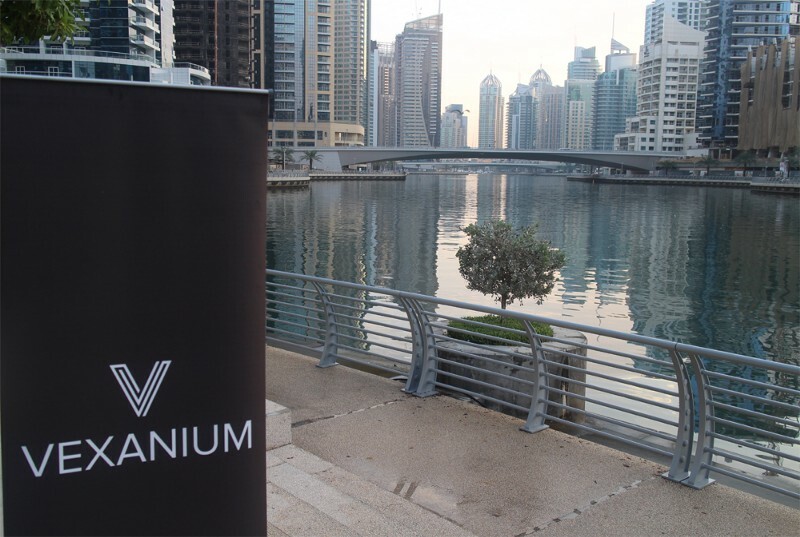 The immutability, liquidity and decentralized nature of VEXANIUM will revolutionize this market while introducing a whole new wave of retailers and users to the blockchain era. A number of angel investors are already backing VEXANIUM, such as Marcus Yeung, founder and CEO of SEAbridge, and Joseph Aditya, CEO of Ralali, the largest B2B marketplace portal in Indonesia. VEXANIUM VEX token pre-sale starts on April 14th, 2018.